I am the kind of person that needs a bit of inspiration before trying to start a project. Yet when I get the inspiration, I very rarely have the equipment I need. When I finally get the equipment I've lost my desire to do anything, and yet again, need inspiration. It is a never ending battle with my brain. 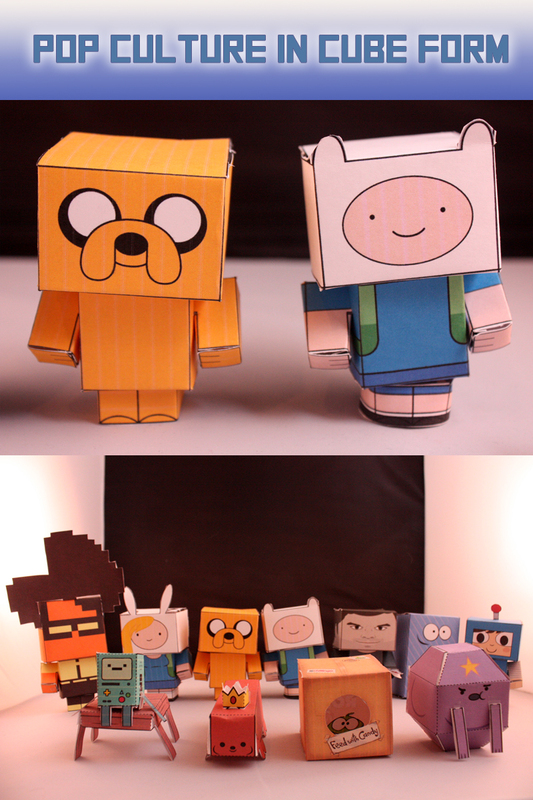 However, I've found this new hobby called "Papercraft." It's very simple, and I already have everything I need. Basically you find a template you like (I found plenty here --> http://www.cubeecraft.com/ Print the template. Cut where it is indicated and assemble your figure. I used to have a lot of hassle with arms, and precise cutting, but it all came in good time. In the past week or so I've been doing this. I've assembled 15 adorable characters. I normally go for cute (like some from my favorite shows : IT Crowd, Adventure Time, Fosters Home, even IPhone Apps!). However, I've also made Boba Fett, Dexter and some other individual characters. It's a fun hobby because once I'm finished, I feel the reward!